Swing Low® bears refined blue-green leaves on horizontal branches. 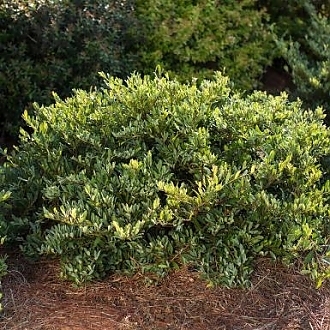 This low growing evergreen is also heat tolerant and has high disease and pest resistance. In addition, Swing Low® is a very adaptable plant that responds well to pruning and grows well in dry soil, wet soil, seasonally flooded areas, and even slopes.